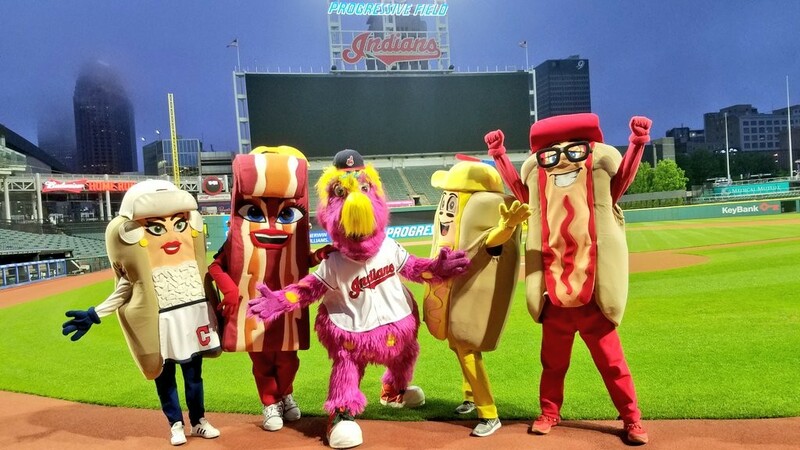 The days of three competitor racing between Ketchup, Mustard and Onion during Progressive Field's Hot Dog Derby ends this weekend, when the Tribe Hot Dogs introduce their newest member, a heavily-eyelashed runner named Bacon. Despite Cleveland 19's misleading announcement of Bacon's arrival as the new "mascot" for the Indians, this new character is merely joining the Hot Dog Derby — making fans hoping for Relish, Stadium Mustard or Mayonnaise feel pretty salty. The latest to join the Sugardale Foods family, Bacon makes her debut at this Saturday's game against the Houston Astros. 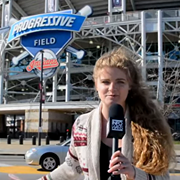 Bacon is noticeably the first non-hot dog to join the races and Clevelanders have some pretty strong feelings about her joining the beloved trio of meaty treats. Please welcome our newest @SugardaleFoods friend, BACON!!!! Welcome, Bacon! Poor Relish must be green with envy, though. Relish is bummed to not get the call-up to The Show. I guess he still has to clean up a few things in the minors. Did you have to DFA Mayo in order to make room for Bacon on the team? Equal time for vegetarians! Where is our Boca Burger mascot?? ?